Packhelp Pro. 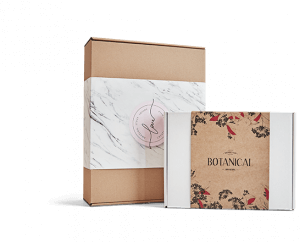 Packaging tailored to your needs. 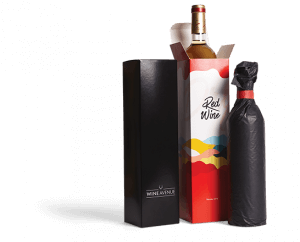 Packaging solutions in bespoke shapes and constructions. Send us your concept and benefit from our expert knowledge, to take your product to the highest level. 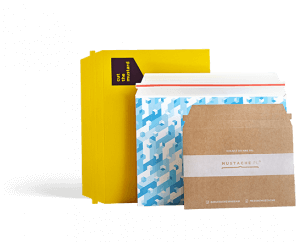 Choose from a variety of available materials, such as Kraft, Alaska or Arktika papers, solid cardboard, coated and corrugated cardboard & many more. Print your artwork in a variety of techniques and colours from CMYK and Pantone range. Our Team will help you choose the right printing technique. Make your brand stand out! Choose one of our many add ons, such as hot stamping or UV varnish, just to name a few. Do you have a different finish in mind? Provide us with your own dieline and remember to include as many details as you can. This will allow us to prepare the quotation and plan the production process. One of the most popular variants of premium finish. 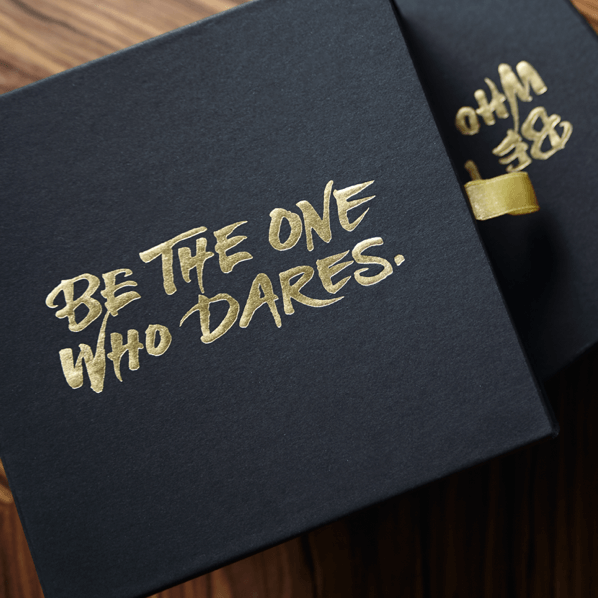 Your design is covered with a melted foil and pressed directly on the box. Hot stamping can be finished with gold, silver or copper foil. Hot stamping requires a personalized tool called stencil to make the effect happen. To prepare that, we need to receive your artwork in a vector format, adapted to the size of your box. Ever wanted to have a 3D effect on your box? Choose embossing (convex element printing) or debossing (concave element printing). Both embossing and debossing are similar to hot stamping, with the difference that they does not include the foil. The stamping tool can consist of one or two elements. To offer this add-on, we also need to receive the design in a vector format, adapted to the size of your box. A layer of varnish that is applied on the printed surface and then embedded with UV radiation. It can be flat or embossed. To produce it, we need your design to include an additional layer of those elements highlighted for the UV varnish. 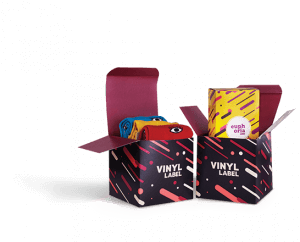 If you want your packaging to be stronger and have a more premium ring to it, then consider adding lamination to your box. 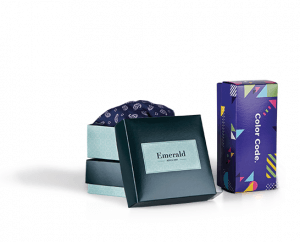 We will cover the whole surface of your personalized packaging with matt or glossy foil. Matt foil is perfect for printing pastel colours. 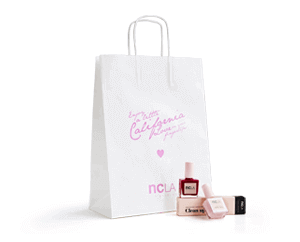 The glossy foil will enhance strong colours and let them shine. Sending fragile products? 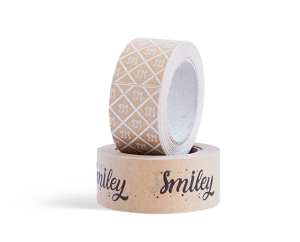 Add a self-sealing tape and tear-apart strip to make sure that the products arrive intact. 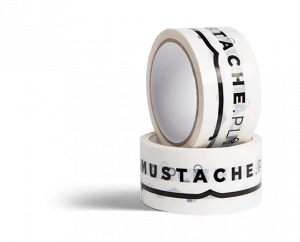 The self-sealing strip will give you the chance to secure your packaging. Your customer will then use the tear-apart strip to open the package. This addition is usually applied to the closing flap of a mailer box. Tell us what you need by filling in the form available on this website. We will get back to you within 48 hours with a call to consult all the necessary details. 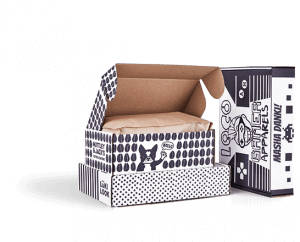 After making sure we are on the same page we need to create the dieline for your packaging. A dedicated team consisting of Sales Executive & Production Specialist will work on all production details of your inquiry. At this stage, we will be ready with the quotation. The offer gets delivered to your e-mail address. After you review and accept the quote, we send you the necessary materials so you can prepare your design. We verify the design and set the deadline for the order. When your packaging is ready, we forward it to the courier. 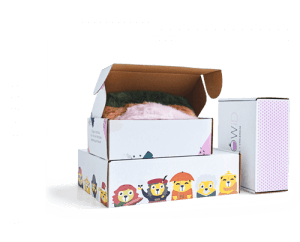 The products should be delivered within a few business days. Can I order small quantities just as in your standard offer? 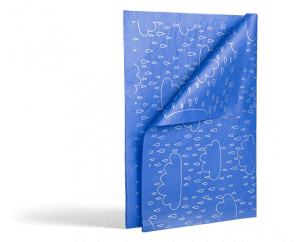 The minimum order quantity for Packhelo Pro offer is 1500 pieces. If you need smaller amounts, we recommend you to choose the range of standard products available in Shop. How quickly can you send me the quote? Each quotation is prepared individually, and the lead time depends on the complexity of the project. The fastest way to receive an offer is by sending as many details, artwork files and other materials, as possible. From the moment we collect all the necessary information, you will receive the quotation in 1 to 4 days. What do you need from me before creating the quote? 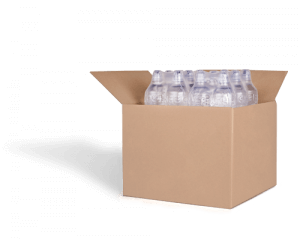 We need to establish exactly what type of packaging and volume are you looking for. In some cases, we also require vector graphics to quote add-ons such as hot-stamping, embossing or flexo printing. With customized constructions, we also need to receive your dieline to prepare the pricing. What is the lead time for products from Packhelp Pro offer? Every product has a different turnaround time and we verify that while working on the project. However, the standard production time is 21 calendar days + 4 business days for the courier delivery. Can I pay for my order with a credit card or PayPal account? Yes! Even the most complicated and complex product can be ordered via our online platform, with access to automated payments, like PayPal or credit card. You can also review your order history and check on the order status at any time. Make sure to check out our online range of products, with minimal quantities starting from 30 pieces only! Design effortlessly in a 3D online editor using our existing sizes and solutions. 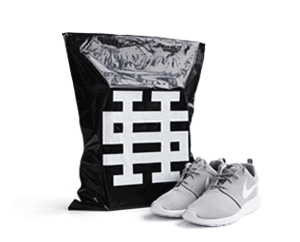 Packhelp Pro is packaging tailored to you. 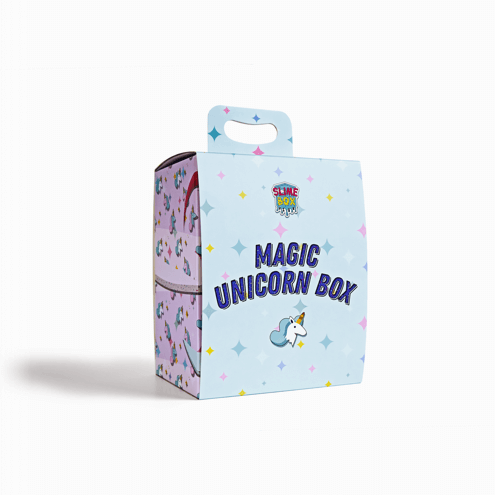 With an almost endless range of bespoke packaging option, you can be sure that no matter how crazy or specific your packaging idea is, Packhelp Pro can get it done. 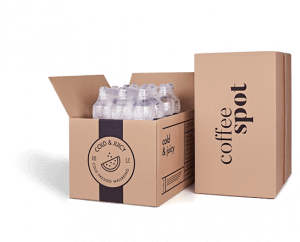 Need more than a standard cardboard box for your packaging? Packhelp Pro gives you access to leather-esque finishes, eggshell varnish and solid veneer plyboard. 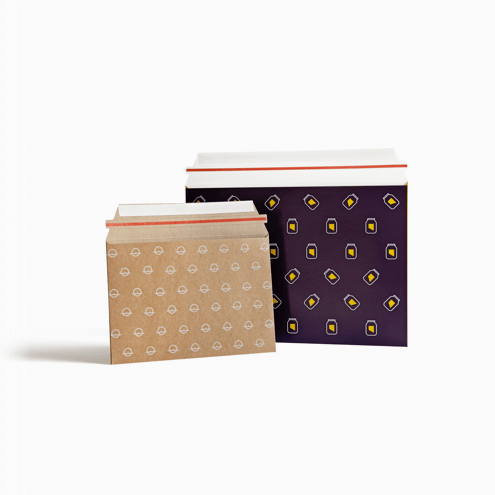 Add a touch of class with a material and textured finish that your customers would never expect on product packaging. It’s the attention to detail that makes your brand stand out and add a sense of value added for your customer. 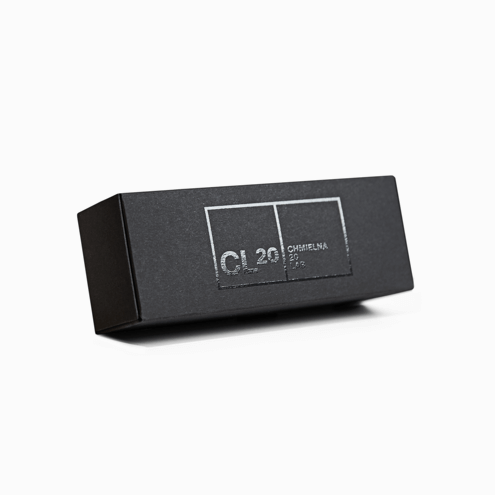 Your logo, hot stamped into the top of your box. 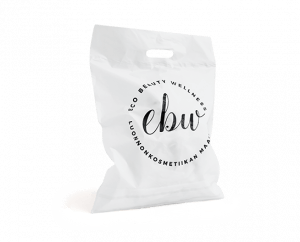 UV print around the edge of your packaging. A magnetic lock that snaps closed to increase security. 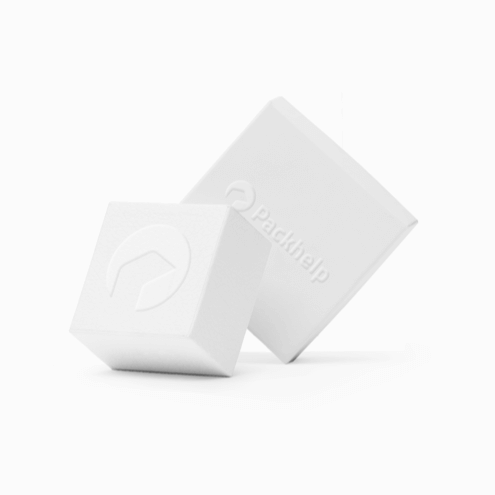 Packhelp Pro gives you access to classy details that leave your customer impressed with your eye for detail. With Packhelp Pro, you have access to unique shapes, sizes, materials and colours for your branded packaging. 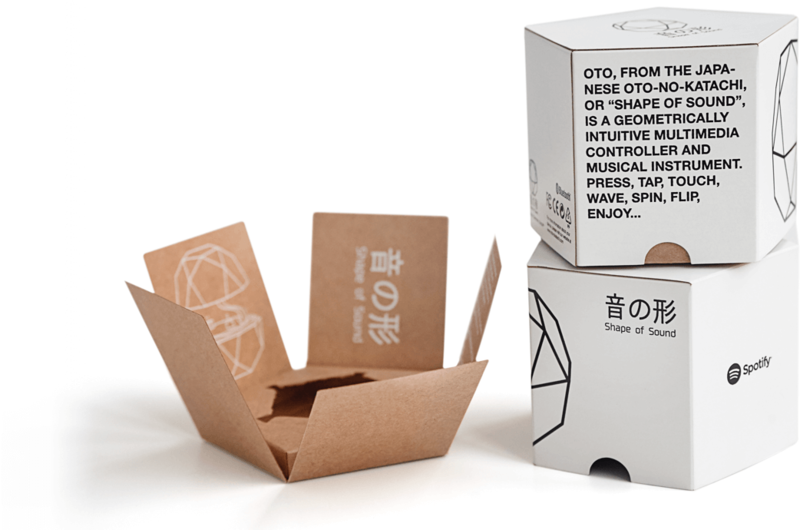 Need a hexagonal box with your logo? No problem. Chasing packaging with a window and a built-in handle? Packhelp Pro is your answer. Is your brand known for a handful of specific colours? Perhaps your logo has contrasting colours right next to each other or a unique gradient between two shades. 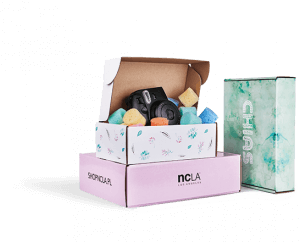 No matter what colours your brand is known for or the way they’re used, Packhelp Pro and take these colours and shapes onto your bespoke product packaging.